Not only are these beautiful, they smell divine. I wish I had bought more - and will eventually - but I didn't have one to try myself because I gave them all away as gifts. EVERYONE loved them. It's especially great for hands, etc to hang on to without slipping away. This is meaningful in so many ways for those of us who want to function independently. A boost to self worth as well as luxury. Takes a little soaking to get it to lather up. 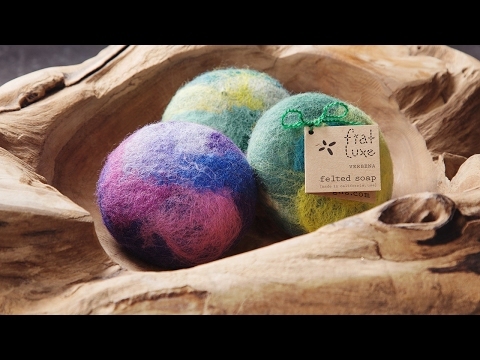 Love this Felted Soap! It is a great way to softer, smoother skin and the scent is subtle which I like. I love these! Will definitely purchase again for myself and as gifts for friends. They're so unique. 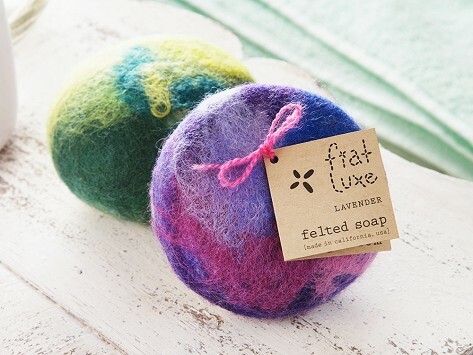 Love the scents and feeling of the felt when using the soap.